Macadamia Nut Oil is a thick oil that is rich in fatty acids making it a favourite ingredient in skin care and beauty products. Those fatty acids include omega 3 and omega 6, and palmitoleic acid, all of which have regenerative properties that promote healing. Macadamia Nut Oil is effective in healing scars and dry and damaged skin. It is an effective moisturizer that can help hydrate the skin while soothing it, and safe for use in facial products and even on a baby’s delicate skin. 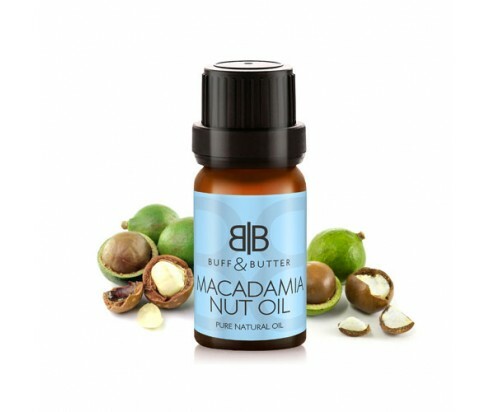 Along with a great base for skin creams, lotions, and balms; Macadamia Nut Oil can also be used as a base for massage products. You can also blend it with essential oils to enhance their effects.